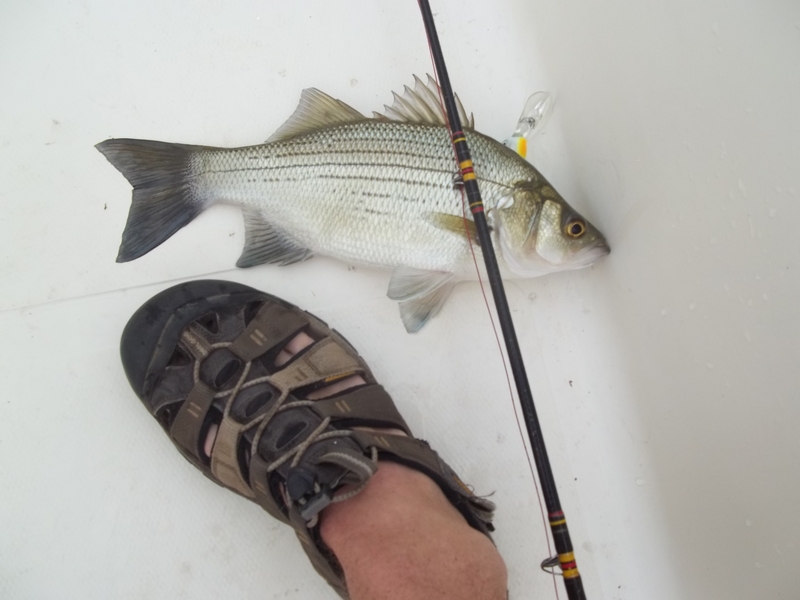 I got out on the Cape Fear river over the holiday with a good friend and caught my first two tagged striped bass. As long as I’ve chased these fish, its amazing these are the first ones with tags I’ve ever come across. And two of them in the same day was quite the treat. 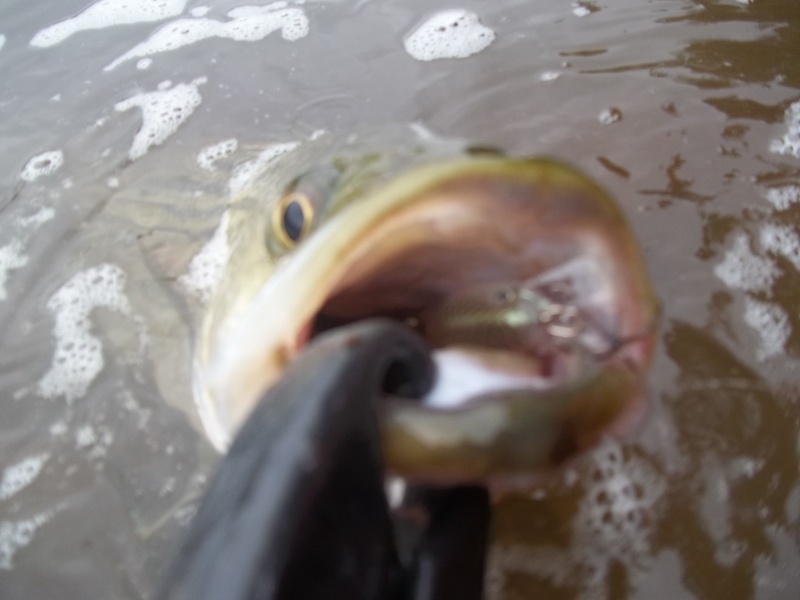 I found stripers feeding readily as soon as I arrived at the first location. Shad were breaching the water trying to escape the aggressively feeding fish. I could see the linesiders thrashing the surface of the water, but my first hookup was a big largemouth bass. 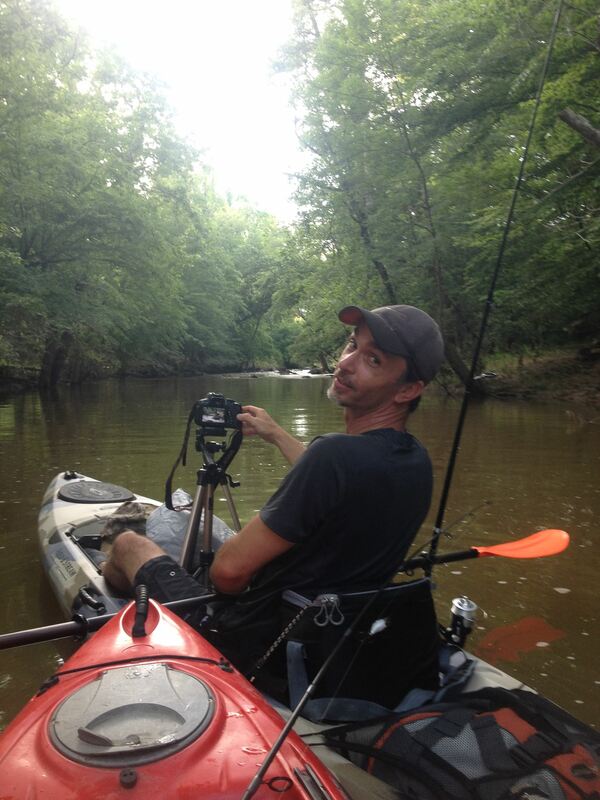 My buddy Scott Kroggel was along for his first river trip in his brand new kayak. Scott is a very talented artist, musician and photographer and he took several beautiful photographs during our outing. Below is a pic I snapped of him a few weeks ago on his maiden voyage with his new yak. The river was a little high and the water was slightly stained, but I had success at first with a chugbug by jerking it across the surface. Fortunately, there was abundant cloud cover, wind was almost non-existent, and the river water was cool enough for the fish to be active. It was one of those perfect days. 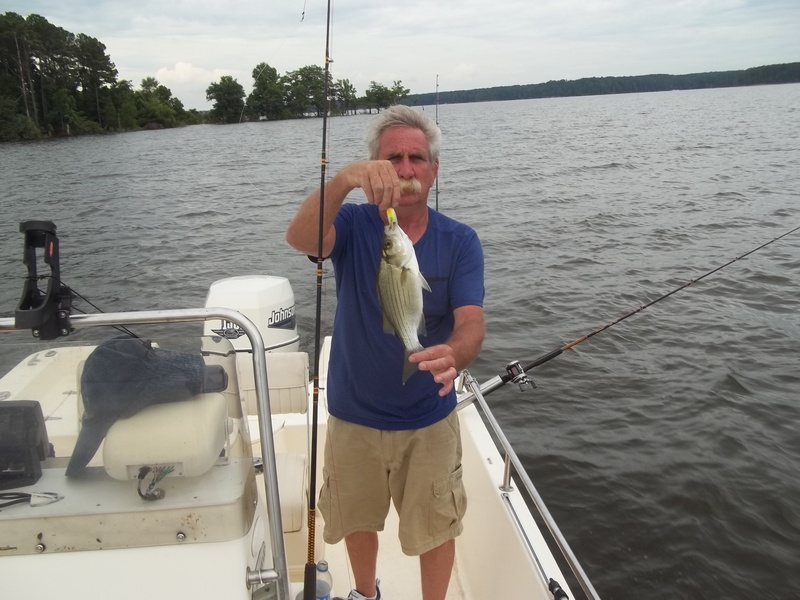 Soon enough, I landed the first striper. The fish was quickly released, as they are still protected on the Cape Fear, and after a few more casts I hooked the first tagger, a red tagged fish close to 25″. These fish are worth $100 bucks to the NCWRC. This guy inhaled a small crankbait, which was a challenge to remove safely for the fish. But he seemed to swim away unharmed. Luckily, the tiny bait hung short of his gills. The white bass wanted the little crankbait too. The carp prefer sweet corn. We moved to a different area and I found the yellow tagger. I was fishing directly beneath a spillway and my buddy took a couple really cool pictures. I couldn’t believe my luck. This fish is worth $5 bucks and a NCWRC marine fisheries hat. 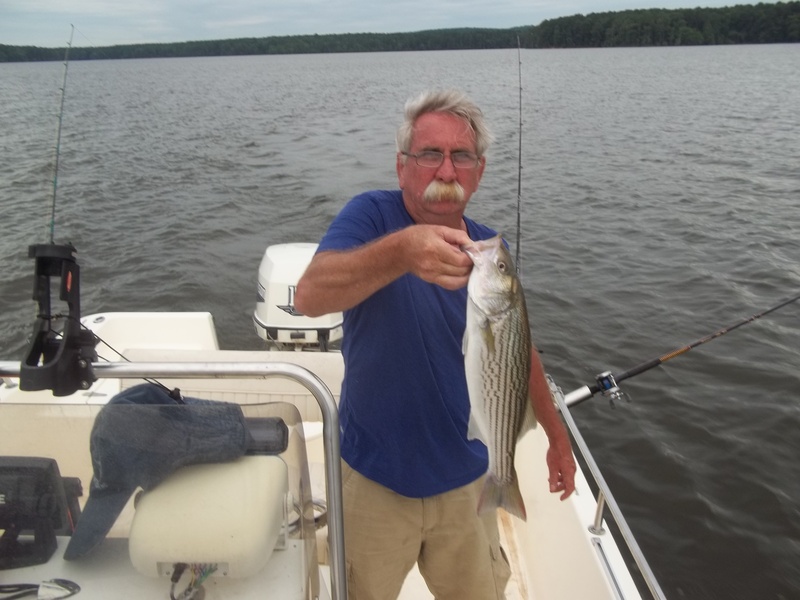 Once again, after a couple quick photos the striper was returned to the water to go about his business mostly unscathed and a little bit smarter for his trouble.